E3 2011 has kicked off, and just like in 2009 and 2010, Microsoft started their E3 press conference with Call of Duty. 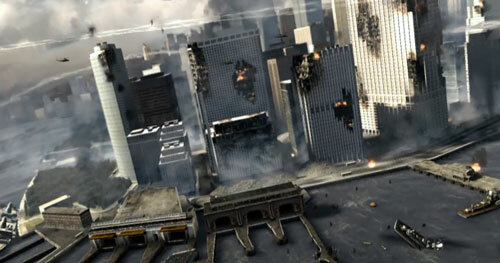 One of Modern Warfare 3's campaign missions was shown off, "Hunter Killer", which takes place in New York Harbor. The mission starts underwater where you, Sgt. Derek "Frost" Westbrook, and other Delta Force members navigate through an underwater tunnel, after that plant explosives on a Russian submarine, invade it and launch the submarines cruise missiles. Then it's time to escape the New York Harbor.